For every one satisfying Oscar nomination, there are endless movies, directors, and actors that could have filled that spot as well. This year, a surprising amount of suspected shoo-ins were snubbed, along with many that may never have had a chance. This year, who will join the ranks of “The Searchers,” “Touch of Evil,” and “Do the Right Thing” for most egregious snubs of all time? It is time to celebrate those who didn’t make the cut. Usually, Best Picture is associated with large scale, historical spectacles. What the Oscars really love, however, are stories of triumph in the face of adversity. No other movie could have better fit that label than “50/50,” Will Reiser’s funny and moving autobiographical story of coping with cancer. It deals with both the dire and the mundane in ways that few movies about cancer before this ever have. It might not have caught the Academy’s eye, but the impact of its naturalistic writing and effortless performances will long outlast the February 26 ceremony. 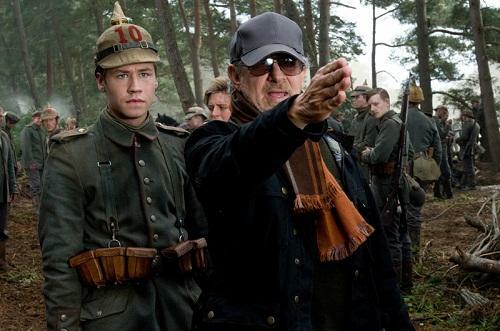 Spielberg is known at times for letting his emotions get the best of his movies. However, his sentimentality toward movies and re-creating history are at their best here. This is perhaps the most detailed depiction of World War I in film, and the ending, evoking John Ford’s most famous westerns, could make even the most hardened movie buff cry. Gosling pulled a hat trick this year with memorable performances in “Crazy, Stupid, Love,” “The Ides of March,” and “Drive.” His against-type performance in “Drive” was the best of these. Conveying so much with so little dialogue, his transformation from a stellar getaway driver to a psychotic killer in the film’s final act is shocking in its subtle believability. Gosling helps elevate a flawed movie by turning The Driver into one of the most unforgettable movie characters in years. It may be tough to make the bitchy former high school prom queen likable, but in “Young Adult,” Charlize Theron shows that it is at least possible to make her relatable. Theron so perfectly disappears into Mavis Gary’s self-denial that sometimes, it is hard to even tell whether it is really self-denial. “Young Adult” doesn’t give Mavis the fairy tale redemption ending that a lesser movie would have resorted to. While she doesn’t deserve our sympathy or attention, giving it to her doesn’t seem like such a crime. Awards season is usually kind to comedians who take a stab at dramatic acting. However, Patton Oswalt, who had not one, but two, fantastic dramatic turns, first in 2009’s “Big Fan,” and this year in “Young Adult,” has yet to be nominated. Oswalt’s performance is much more toned down than anything usually seen from him. He serves as a perfect foil to Theron, wallowing in self-pity, but also displaying a great deal of self-awareness. While his life has fallen apart, he never seems disturbed by it. An actor’s job is to make an unlikable character likable, and Oswalt takes a loser and turns him into something much more unique. This breakout performance from the 20-year-old Shailene Woodley has been inexplicably left out of the race. Woodley delivers one of the most devastating moments of the year: after hearing that her mother is in a coma, she goes underwater to cry. Making the leap from an ABC Family melodrama to holding your own against George Clooney in an Alexander Payne movie is the mark of a promising movie star in the works. Brendan Gleeson (The Guard): For the ten of you out there who actually saw this movie, you’ll know that Brendan Gleeson is the only person who could make a bumbling and racist Irish cop hilarious and a bit of a sneaky genius. David Fincher (The Girl With The Dragon Tattoo): Fincher turned a pulpy story into a haunting Swedish noir. Seriously, after this, “The Social Network,” and the various other movies he hasn’t even been nominated for (“Se7en,” “Fight Club”) how has this guy not won an Oscar yet? Perhaps Fincher is the Academy’s new Scorsese. You can also check this article out at The Daily Orange. It is also available in print. Yes, print still exists. This entry was posted in 50/50, Charlize Theron, Drive, Oscar Snubs, Oscars, Oscars 2012, Patton Oswalt, Ryan Gosling, Shailene Woodley, Steven Spielberg, The Descendants, War Horse, Young Adult on January 26, 2012 by ian0592.